A wonderful alternative to exceed your record and edit expectations. If you’re looking for an easy-to-use screenshot tool, give Icecream Screen recorder a shot. The pro version of the software doesn’t use any adware, is void of watermarks and has not time limitations. In terms of functionality, you can capture or record screens, and although the editing capabilities are minimal, icecream screen recorder does boast a pretty neat drawing kit. This icecream screen recorder review tells you everything you need to know about the software – and probably some things you don’t. But we like to be thorough. 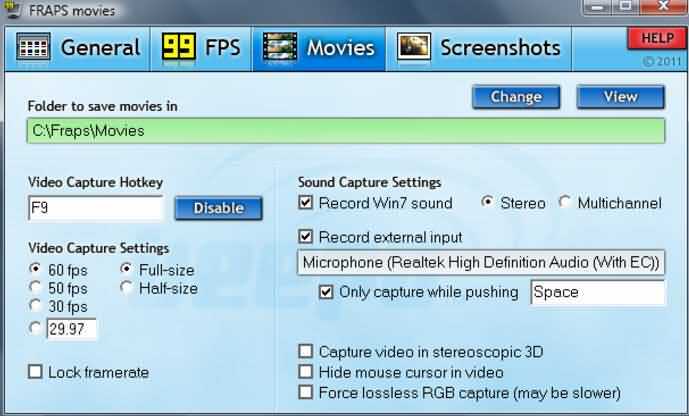 So let’s get straight into this so we can show you how easy it is to use icecream screen recorder. Why use icecream screen recorder? It has become customary to capture screens for professional and personal reasons. For example, if you maintain a blog or offer tutorials online, screen capture tools are a simple and effective mean of capturing images. Software companies have subsequently released screen capturing tools that also feature screen recorder as part of the free package. These tools allow you more flexibility for making videos to a professional standard. Icecream screen recorder is manufactured by Icecream apps and is compatible with Mac OS X and Windows 10. Because it’s so easy to use, it is a good option for beginners. What features does icecream screen recorder have? Everything about icecream screen recorder is designed for simplicity. The free app downloads in a matter of minutes and the UI only has two options: do you want to capture your screen or do you want to record your screen. All you have to do is select the option you want, select the area of the screen you want to include and save the file to a dedicated folder or share the file directly to whatever platform you like. The advanced drawing panel also enables you to edit files on the fly. One of the stand-out features of the icecream software is the instant editing option. Regardless of whether you are capturing a screenshot or recording a video, you can use the drawing tool to add circles, squares, text and arrows. You can also vary fonts and colours. The icecream screen recorder has one of the best file integration functions out there. The software enables you to share your screenshots and video recordings to whatever platform you are using simply by clicking on the URL button and entering the relevant permalink. The webcam can also be manipulated so that when you are recording something on your PC, you can resize the portion of your screen to draw attention to something and use the audio feature so that your viewers can hear you clearly. 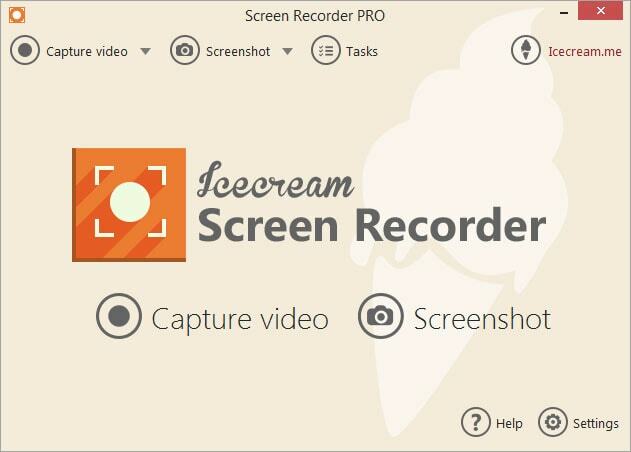 As with most screen capture/recorder tools, icecream screen recorder has a free version and a paid Pro version. The free version covers the basics, but is pretty limited whereas the Pro version is stacked with easy-to-use tools. The most noticeable difference between the first two versions is the recording solutions in the free version are very limited. You can only export WEBM file formats whereas the pro version includes MP4 and MKV. The free version also limits you to 10 minutes of recording time, only has a few editing tools and the sound quality is not as good. Upgrades to the Pro version are $25.99. Arguably one of the best screen capture and recording tools on the market. Filmora scrn allows you to record any part of your screen together with games at up to 120fps. The software has two-way recording so you can record your screen and yourself simultaneously and the pro version boasts an editing suite usually reserved for professional editing software. FRAPS has been around a while now and is probably the best known game recording software out there. The software is easy to use and capture high-quality video, but does not give you the recording preferences newer softwares offer. 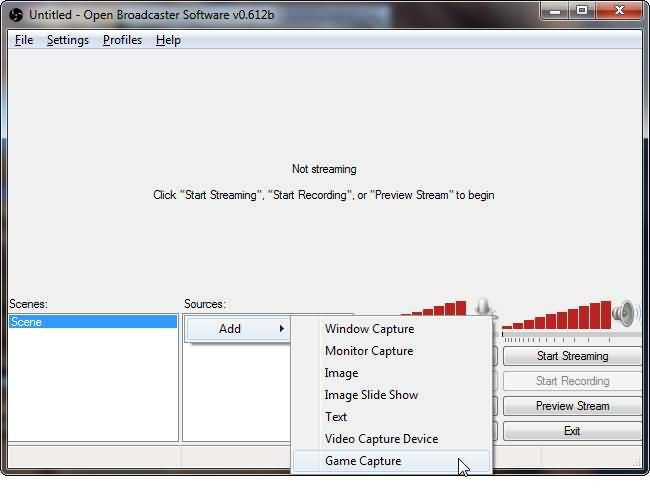 Open Broadcaster Software (OBS) is the most powerful free screen recorder and streaming tool for gamers. The software allows you to record and stream at the same time and has a good selection of source options. Although OBS is optimized for gamers, other users will find it has limitations. The Atomi ActivePresenter gives you the ability to record, save and edit sessions in a folder that you can go back to later to adjust. It also gives you more file formats than icecream including AVI, WMV and MP4 and although the editing tools allow you to add text the editor does not allow you to link slides together to set up a sequence. Great job! You may also want to try ApowerREC. This program was recommended by my friend last two months ago. I tried it and it is really amazing. I can record my entire screen as well as capture it while I am doing any activities on my computer. Awesome review I chose the ice-cream screen recording software and so far so good. It is easy to use and has the options I need for tutorial videos on internet marketing so I am happy with my purchase.